“. . .the formality enraged more than a few congregants, prompting some to walk out and one to start a campaign of his own in support of Bachmann’s opponent in the race for her congressional seat, Jim Graves. 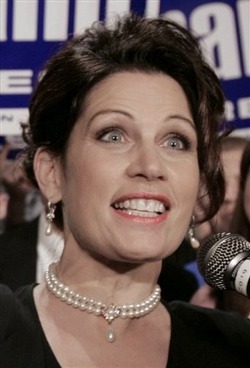 Bachmann’s appearance, which I’m guessing was a publicity stunt intended to convey the congresswoman’s support for Israel, may have inadvertently helped her opponent: Adam Graves, Jim Graves’ son and campaign manager, reported a 400 percent increase in donations to the campaign from the Chicago area last week, according to the Tribune.